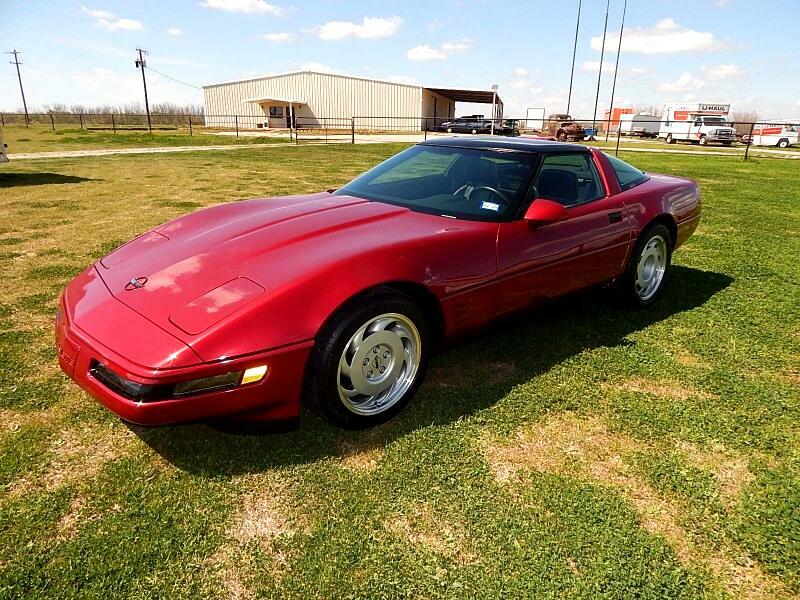 Lone Star Muscle Cars Is Proud To Present this super nice showroom condition 1991 Corvette ZR-1. For the 1991 year model only 2044 were produced and out of that 97 were paint code 75 Dark Red Metallic. This was the second year for the ZR-1 Production with the all famous four cam 32 valve LT-5 motor that produced 375 H.P. Production for the ZR-1 was from 1990 to 1995 a total of 6939 unit's were built this is why these Corvettes have become so collectible. The body of the ZR-1 Was special to accommodate the 11 inch wide tires on the rear. The option package ZR-1 was a 31,683.00 Add to the Base MSRP of 32,455.00 for a total price before dealer mark up 64,138.00. This unit has just a little over 12K miles on it has been complete serviced and ready to go. Please call 940-733-4599 for more info.